Mitt Romney held his final rally of his campaign Monday just before midnight struck, telling a thunderous crowd in Manchester, N.H., that it will be the Granite State that helps him win the White House. Tomorrow is Election Day. The closing hours of a campaign have a dynamic of their own. Many voters have known for some time who they will vote for. Others are just now putting aside the demands of daily life and considering how their vote will affect their lives, the lives of their children, and the course of the country we love. We ask you to look beyond the speeches and the attacks and the ads. Look to the record, the accomplishments and failures, and the judgment. Words are cheap. A record is real and earned with effort. Change cannot be measured in speeches; it is measured in achievements. Four years ago, candidate Obama promised to do so very much, but he has fallen so very short. He promised to be a “post-partisan president” but he became the most partisan– blaming, attacking, dividing. He was going to focus on creating jobs. Instead, he focused on Obamacare, which killed jobs. He said he was going to cut the federal deficit by half; then he doubled it. He said that the unemployment rate would now be 5.2 percent; on Friday we learned that it is 7.9 percent — it is 9 million jobs short of what he promised. Americans of Hispanic descent have been hit particularly hard by the President’s failure to get our economy growing again. For the most part of Mr. Obama’s presidency, the unemployment rate among Hispanics has remained at or near 10 percent. That is unacceptable. President Obama promised change, but he could not deliver it. I promise change, and I have a record of achieving it. I built a business, and turned around another. I helped put an Olympics back on track. And with a Democrat legislature, I helped turn my state from deficit to surplus, from job losses to job growth, and from higher taxes to higher take-home pay. This is why I am running for president. I know how to change the course the nation is on, how to get us to a balanced budget and how to build jobs and rising take-home pay. Accomplishing real change is not something I just talk about — it is something I have done. And it is what will do when I am President of the United States. People across the country are responding to our comprehensive plan to create jobs. Among the things I intend to do is to boost trade, especially with Latin America. I will ask Congress for Trade Promotion Authority, a power every president has used or requested since it was first created in 1974, with the exception of President Obama. Hispanic Americans are a major force in small business, which is itself the biggest driver of employment in our country. I intend to launch a sweeping review of all Obama-era regulations with an eye to eliminating or repairing those that are killing jobs and hurting small businesses. Every Hispanic small-business person and every job creator will know that for the first time in four years, the government of the United States likes business and loves the jobs and higher wages business brings to our fellow Americans. I will work day and night to ensure that Hispanic children have access to a great education, affordable college, and a good paying job after graduation. I will reform Medicare and Social Security so that it doesn’t fail this or future generations. l will grant you control of your healthcare decisions, not a bunch of bureaucrats in Washington. And I will achieve what President Obama promised you but did not even try to deliver — a bipartisan agreement on immigration reform. We are one day away from a fresh start. One day away from the first day of a new beginning. 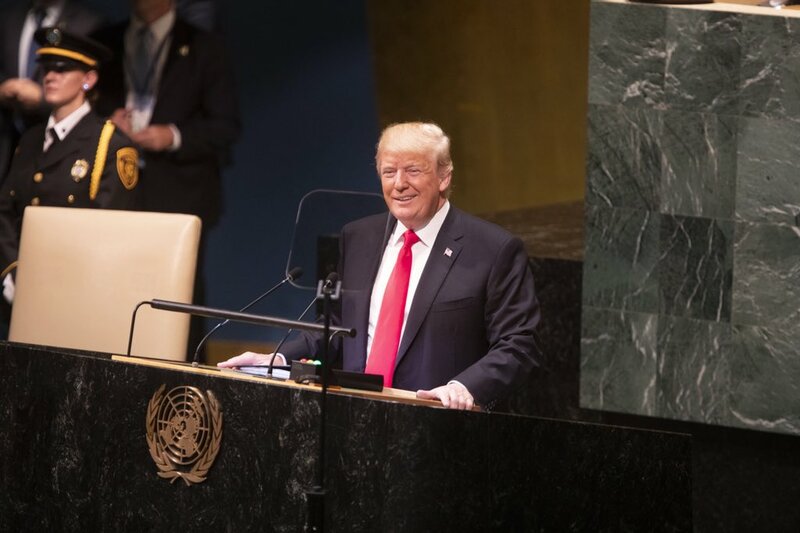 If there is anyone worried the last four years are the best we can do, if there is anyone who fears that the American Dream is fading away, if there is anyone who wonders whether better jobs and better paychecks are things of the past, I have a clear and unequivocal message: with the right leadership, America will come roaring back. Americans don’t settle. We build, we aspire, we listen to that voice inside that says, “We can do better.” A better job; a better life for our children; a bigger, better country. The door to a brighter future is there, open, waiting for us. I need your vote, I need your help. Walk with me, walk together. Let us start anew. Mitt Romney has been chanting “one more day” all day Monday on the stump, but as it turns out, he will campaign for yet another day: Tuesday, Election Day. A campaign official said Monday that after Romney votes in his hometown of Belmont, Mass., Tuesday morning he will head to two swing states, Ohio and Pennsylvania. Here is a complete transcript of Republican presidential nominee Mitt Romney’s remarks at a campaign event in Sanford, Fla., on the last day of the presidential campaign, Nov. 5, 2012. And I am — I am so looking forward to getting the chance to work with Senator Connie Mack, you’ve got to make that happen. And I also appreciate the — the great leadership of Jeb Bush — Governor Jeb Bush, one of the best this country’s ever known. Thank you to Governor Scott for welcoming us here and Lieutenant Governor Carroll. Thank you also to Jeff Atwater. As you know, Jeff is the Chief Financial Officer of the state, but he’s been the Co-Chair of my effort here along with Adam Putnam, who as you know, is the Commissioner of Agriculture. I appreciate their work. Will Weatherford, the Speaker of the House has addressed you and I appreciate his support. Senator Mel Martinez and I appreciate Mel being here. I think I’ve — oh, I didn’t mention Congressman John Mica. Where’s John hanging out here? He’s over here, hi there. It’s quite a gathering today. … you’re voices — your voices are not just heard in this hanger, they’re being heard all over the nation. And even though — even though Ann is at a different city this morning, they are being felt your voices in both of our hearts and I — I want you to know how much we appreciate all that you’ve done, all the doors you’ve knocked on, all the phone calls you’ve made and the fact that you voted early. I saw how many hands went up when you were asked. That was very good. (APPLAUSE) And some of you put signs in your yard. Some you have put signs in your neighbor’s yard. And — and I just — I — I know — I know how many as well have talked to coworkers and tried to convince people to vote for Paul Ryan and me. Look, we — we have one job left and that’s to make sure that on Election Day, we get — make certain that everybody who’s qualified to vote gets out to vote. We need every single vote in Florida. Now what makes this rally and your work so inspiring, is that you’re here because you care about America. This is — this is a campaign about America and about the future we’re going to leave our children. We thank you, we ask you to stay at it all the way — all the way to victory on Tuesday night. Tomorrow, we begin a new tomorrow. Tomorrow we begin a better tomorrow. This nation is going to begin to change for the better tomorrow. Your work is making a difference, the people of the world are watching, the people of America are watching. We can begin a better tomorrow tomorrow and with the help of the people in Florida, that’s exactly what’s going to happen. Now there may be some of your friends and family members who haven’t made up their mind yet who they’re going to vote for. So I’d ask them to look beyond the speeches and beyond the attacks and even beyond all the ads, look to the record. You see talk is cheap, but a record, that’s real and it’s earned with real effort. I mean the president promised a lot of change but change can’t be measured in speeches. It has to be measured in achievements and four years ago, candidate Obama promised to do oh so very much but he’s fallen also very short. I mean you know some of these things. I mean he said he’d said he’d be a post-partisan president, but he’s been most partisan, attacking, dividing, blaming, it’s not only Republicans he’s refused to listen to, he’s also refused to listen to Independent voices. He was going to focus on creating jobs, instead he focused on Obamacare and that killed jobs. He was going to cut the federal deficit in half, instead he doubled it. He said that by now, unemployment would be at 5.2 percent and last Friday, we learned that it’s 7.9 percent. … that’s — that’s — that’s nine million jobs short of what he promised. Unemployment today is higher than when Barack Obama was elected president. Think of that. He promised that he would propose a plan to save Social Security and Medicare. He didn’t, never even proposed a plan. Instead, he took $716 billion out of Medicare and used it to pay for Obamacare, that we didn’t want. He also said he would lower the health insurance premiums of the average family in America this year, we’d be down $2,500 a year. Anybody see that yet? ROMNEY: Actually, they’re up $3,000 a year. Think of what impact that has on a middle-income family in America. And of course the average American family now pays about $2,000 a year more for gasoline than they did when the president was elected. One more thing, let me mention, he said he would reach across the aisle on the most important issues that the country faced. Do you realize he has not met on the economy or on the budget, sequestration or on jobs with either the Republican leader or the Republican — of the House or the Republican leader of the Senate since July. That is not working across the aisle. That’s not bridging the divide, it’s making the divide wider. So now we’ve had a lot of debates in this country and not as Republican or as Democrats, but as Americans that look at the — the issues that are before them and you’ve watched what’s happened in the country over the last four years with a — with an independent voice. You hoped that President Obama would live up to his promise to bring people together and to solve problems. He hasn’t; I will. (APPLAUSE) And you know why he fell so short — you know why he fell so short of what he promised. He cared more — he cared more about a liberal agenda than about repairing the economy. Did Obamacare create new jobs? ROMNEY: Did his war on coal and gas and oil put new jobs in the — in the marketplace? ROMNEY: Did the Dodd-Frank regulations help banks make more loans to people? ROMNEY: Does raising taxes create more jobs? ROMNEY: Does an avalanche of new regulations help small business build new jobs? ROMNEY: You passed the test. Look, I’m — I’m happy to sit down and discuss this with anybody who likes you but almost every measure the president took made it harder for the economy to recover and it hurt our fellow Americans. And — and we’re not just talking about a handful of people. We’re talking 23 million Americans are struggling to find a good job. One in six Americans are poor and the middle class, even those that have jobs, the middle class is being squeezed with lower incomes every year and higher prices from everything to health insurance to gasoline and electricity bills. It’s been tough for middle-income Americans, even those that are employed. This — this weekend, I spoke with a wife of a 60-year-old man; he — he’s worked as a welder for 40 years but he just got laid off. And she said, what’s he going to do? She asked what I could do to help them and she made it very clear, they’re not looking for a government check, he wants a job. ROMNEY: … or do you want real change, finally? … that’s why I’m running for president. I know how to change the course the nation is on. I know how to get us to a balanced budget and how to build jobs and — and make rising take-home pay happen again. See, accomplishing real change is not just something I talk about, it is something I have done and it is something I will do as the president of the United States. If you believe we can do better, if you believe America should be on a better course, if you’re tired of being tired, then I ask you to vote for real change; Paul Ryan and I will bring real change to America from day one. When I’m elected, of course, the economy and the American job market will continue to be stagnant, but I won’t waste any time complaining about my predecessor. And I won’t spend my effort trying to pass partisan legislation unrelated to jobs and growth. From day one, I’m going to go to work to help Americans get back to work. (APPLAUSE) And, you know, people all over the country are responding to Paul Ryan and my five part plan to create more jobs and rising take-home pay. On day one — on day one, I’ll act to increase the number of leases and permits to drill on federal lands. And I’ll act to speed the approval of the Keystone Pipeline from Canada. Number two, I will move to boost trade, particularly with Latin America. It’s an enormous opportunity for us. We need to take advantage of it. And I will finally designate China as a currency manipulator, we all have to play by the same rules. Now third, I’m going to send to Congress a retraining reform act to make sure every worker can get the skills they need for a good job. And number four, I’m going to tackle out of control spending. I’m going to send Congress the first of several fundamental reforms. This first one will be called the Down Payment on Fiscal Sanity Act. And it is going to do something that’s been spoken of but never done and that is we’re not going to — just — just going to slow down the rate of federal spending, we’re actually going to cut federal spending and get ourselves on track to a balanced budget. I’m not just going to take office on January 20, I’m going to take responsibility for that office as well. And number five, I’m going act to boost small business and all business by the way. I’m going to issue Executive Orders aimed at straightening out the problems that are holding the economy back. The first is going to grant waivers from Obamacare to help begin its repeal. The second, we’ll launch a sweeping review of all Obama era regulations with an eye to eliminating or repairing those that are killing jobs. See, Paul Ryan and I believe in limiting government instead of limiting the dreams of our fellow Americans. Now our choice tomorrow is going to lead to one of two very different outcomes and people across the country, I think have the information they need to — to know where those outcomes would be. They can judge what kind of America we’ll have based upon who they vote for. If for instance, they were able to reelect President Obama, he will still be unable to work with Congress and the people there, because he’s ignored them in the past, he’s attacked them, he’s blamed them. The debt ceiling that comes up from time to time, it’s going to come up again. There’ll be threats of shutdown and default and of course, that scares the heck out of the economy, freezes job growth. I think the president was right the other day when he said he can’t change Washington from the inside, only from the outside. We’re going to give him that chance. That’s his way. My way is quite different. When I’m elected, I’m going to work with Republicans and Democrats in Congress. I’m going to meet regularly with leaders in both parties and I’m going to endeavor to find good men and good women on both sides of the aisle that care more about the country than they do about politics and they’re there and we can make that happen. Now, there’s no question, but you know that regardless of what he says, if the president gets reelected, he’s going to continue his war on coal and oil and natural gas. I have a very different path. When I’m elected, we’re going to change course on energy to build jobs, to help with the price at the pump. We’re going to achieve North American energy independence in eight years. If the president were to be reelected, I’m convinced he will continue to crush small business with his plan to raise taxes on them, to force employees to join unions whether they want to or not, to expand regulations and to impose Obamacare, which also kills jobs. I care about small business. I see it as a means for people to fulfill their dreams. Last week, I met a — a woman in Richmond, Virginia named Rhoda Elliott (ph). She — she’s been running her family restaurant for a number of years, Bill’s Barbecue, a business that’s been in her family for some 82 years. At the high point, she had 200 employees. She just closed it down and she told me that it was the Obama era taxes and regulation, Obamacare and the Obama era economy that put her out of business. And she teared up as she was talking about it. This wasn’t about money, this is about the future for her family and the future for the families of the employees that worked there. I want to help the hundreds of thousands of dreamers like Rhoda and I will. You know that if the president were to be reelected, he’s going to say he’s going to improve our schools, but he’ll do what his largest campaign supporters, the public sector unions insist on. And your kids will have the same schools with the same results. … I’m going to be the voice of the children and the parents across the nation because there’s no union for the PTA. I want to make sure the kids of the nation get what your kids here get. I want to make sure they — they receive the information about the school their kids are going to to know whether it’s succeeding or failing and I want every child to have the choice they need to pick the school where their child can succeed. Now I’m proud of the fact that in my state, we took our schools to the top of the nation, number one of all 50 states. But we did that by working together, Republicans and Democrats, by listening to the good advice of our best teachers who’ve dedicated their lives to helping others; listened to parents and always putting the students and their education first and I’ll do the same thing as president. Now these last — these last few months of the campaign, you’ve noted that we’ve gathered strength. It’s become a movement across the country. You see it — you see it, not just in the — in the size of the crowds that gather and the energy and passion, but also in the — the shared conviction we have. It’s made me strive even more to be worthy of your support and to campaign as I was governor to speak for the aspirations of — of all Americans. I learned that as governor of Massachusetts, that the best achievements are shared achievements. I learned that respect and good will go a long way and are usually returned in kind. That’s how I’ll conduct myself as your president. I’ll bring people together, I won’t just represent one party, I’ll represent one nation. Throughout the campaign, using every argument he can think of, President Obama has tried to convince you that the last four years have been a success. And so his plan for the next four years is take all the ideas from his first four years, you know the stimulus, the tax increase, the borrowing, Obamacare, and do them all over again. He calls this plan “Forward,” I call it forewarned. That same path means $20 trillion in debt. It means continuing crippling unemployment. It means depressed home values, stagnant take-home pay and a deficit in military. Unless we change course, we may be looking at another recession as well. And his closing argument, did you hear this? Just the other day, President Obama asked his supporters to vote for revenge. For revenge. Instead I ask the American people to vote for love of country. (APPLAUSE) We have — we have got to lead America back to a better place. Our — our motto, united we stand, this is — this is — this is — out of one many — excuse me — out of many one, this — this unity is a — is a fundamental principle of America. We’ve got to restore it. And so we’re one day way from a fresh start. One day away for the first day of a new beginning. My conviction is that better days are ahead and it’s not based on — it’s not based on promises or rhetoric, but it’s based on solid plans and proven results and an unshakable faith in the American people. Now if there’s anybody — if there’s anybody who’s worried that the last four years are the best we can do or if there’s anyone who’s fearing that the American Dream is fading away or if there’s anyone who wonders whether better jobs and better paychecks are things of the past, I have a clear and unequivocal message. With the right leadership, America is about to come roaring back. We’re Americans, we can do anything. The only thing that stands between us and some of the best years we’ve — we’ve ever imagined is lack of leadership and that’s why we have elections. Tomorrow is a moment to look into the future and imagine what we can do to put the past four years behind us and start building a new future. And you saw the differences when President Obama and I were side by side at the debates. He says it has to be this way. I say it can’t stay this way. He’s offering excuses, I’ve got a plan. I can’t wait to get started. He’s hoping we’ll settle. But Americans don’t settle, we build, we aspire, we listen to the voice inside that says we can do better — a better job, a better life, a bigger, better country. That is what’s in store with new leadership. That better life is out there. It’s waiting for us. Our destiny, it’s in your hands. Tomorrow we get to work rebuilding our country. Tomorrow we restore our confidence and renew our conviction. Tomorrow that confidence that we’re on a solid path to steady improvement begins. Confidence in college grads will be able to find a good a good job at the end of four years. Confidence that moms and dads that are working two jobs will have a shot at a better job. Tomorrow on November 6, we come together for a better future and on November 7, we’ll get to work. Now I’d like you to reach across the street to that neighbor with the other campaign’s yard sign and we’ll reach across the aisle in Washington to people of good faith in the other party. This — this is such a critical time. It’s so much more than just our moment, it’s America’s moment of renewal and purpose and optimism. We’ve journeyed far and wide in this campaign. And now we’re almost home. One final push is going to get us there. We’ve known — we’ve known many long days and some short nights and now we’re close. The door to a brighter future is open. It’s waiting for us. I need your vote. I need your help. Walk with me. Tomorrow we begin a new tomorrow. God bless you all. God bless Florida. God bless Orlando. We’re going to take back this country and make it strong and proud and prosperous. Thank you so very much. Thanks you guys. Thank you. 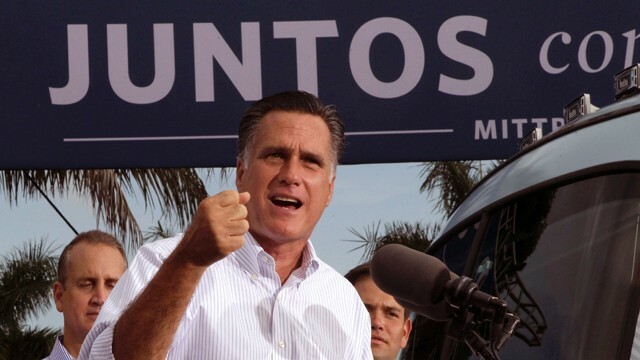 Mitt Romney began his final day of campaigning in the Sunshine State by telling voters in Sanford, Fla., that Tuesday will be a turning point in U.S. history and urging them to head to the polls. This presidential campaign has allowed me to travel to every corner of the country and listen to the hopes and concerns of people of every class, race and background. It has reaffirmed to me what an extraordinarily impressive, resilient and compassionate country America is. But it has also reinforced in me the belief that America is facing serious challenges and in need of serious change. We are at a turning point. The decision we make on Tuesday will affect not only us but also generations yet to be born. President Obama and I offer fundamentally different visions about the size, cost, reach and role of the federal government. And this election will determine our policies on job growth and debt, on whether our standard of living rises or falls, and whether we have unity at home. Four years ago, we were promised a new beginning — but it turned out to be false start. 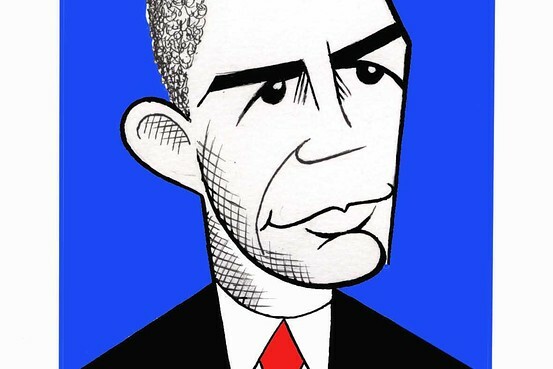 President Obama is a well-intentioned man whose policies have manifestly failed. Under his stewardship, we’ve seen a historically weak economic recovery, chronically high unemployment, falling household incomes, rising health care and tuition costs, a record number of Americans in poverty and on food stamps, record deficits, and a national debt that threatens to bury our future. President Obama calls this a recovery. Most Americans consider it a disaster. Fortunately we still have time, though not much time, to change course. We need a new direction — and that requires a new president. Based on a lifetime in the private sector, as head of the Olympics and as a governor, I know how to fix things that are broken and turn institutions around. I have a five-point plan that will put America back on the path of economic growth and fiscal responsibility. Part one will bring us to North American energy independence by 2020. Part two will open new markets for American goods and ensure that we trade on a level playing field; the days of China’s cheating will be numbered. Part three will transform our educational system so that Americans can gain the skills required for success in the 21st century. Part four will cut the deficit, get the national debt under control and pare back our overgrown federal government. Part five will empower small business, the central engine of job creation in this country. During my presidency, America will create 12 million new jobs, raise take-home pay and get the economy growing at an average rate of 4% a year, more than double this year’s rate. Animating these policies is an unshakable commitment to help improve individual American lives — the unemployed single mother, the struggling middle-class family, the wounded veteran, the senior citizen who relies on Medicare. But it’s the nature of our political system that we can’t achieve large and lasting change unless people in Washington put aside pettiness and bickering and work together. That is one of the largest failures of the past four years. As governor of Massachusetts, I worked with a legislature that was 85% Democratic to implement good ideas. And what I did for Massachusetts, I will do for America. I’ll work with Republicans and Democrats to advance reforms that meet the challenges of our time. On Nov. 6, we can begin to build shared prosperity that touches every corner of our country. We can experience unity as a nation. And we can begin to write great new chapters in the American story. I’m prepared for this moment, and I am ready to lead this nation. But I need your vote, because there is an economy to revive, and dreams to build, and great work to be done. With just more than 24 hours until voters can head to the polls in Pennsylvania, Mitt Romney made a last minute stop there on Sunday, drawing tens of thousands to a rally that his campaign hopes will push him to a win in a state they now see as an opportunity this Tuesday. Mitt Romney made his final stop in the battleground state of Iowa on Sunday, on a day that took him to Ohio, Virginia and Pennsylvania before midnight. He had visited Iowa even before announcing his candidacy last June, and this was his 21st campaign event in Iowa this year alone. Romney made his final argument for voters to come to the polls for him, stressing the importance of the state on Election Day. 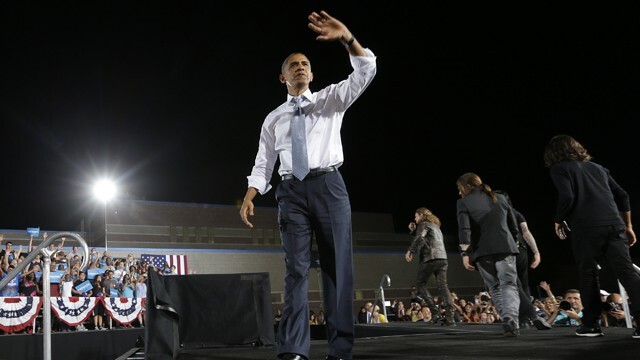 With less than two days until voters begin heading to the polls, the Obama campaign is heralding the mobilization of a massive battleground organizing operation – unprecedented in size and scope — that it says will be a decisive factor in the outcome on Nov. 6. It is a “ground game unlike any that American politics has ever seen and much bigger than we did in 2008,” Obama campaign manager Jim Messina told reporters on an evening conference call Saturday. After thousands of ads, hundreds of stump speeches and a record war chest of campaign cash, President Obama is banking on a final burst of star power to boost his get-out-the-vote effort in the final 72 hours of the 2012 presidential campaign. As Obama and his top surrogates – Vice President Joe Biden, first lady Michelle Obama and former President Clinton – barnstorm the battlegrounds this weekend, they will have a cast of Hollywood stars and music icons at their sides. Kicking off the day filled with four campaign events spread across three crucial swing states, Mitt Romney said on Saturday morning that unlike the president, he is urging Americans to vote for love, not revenge. 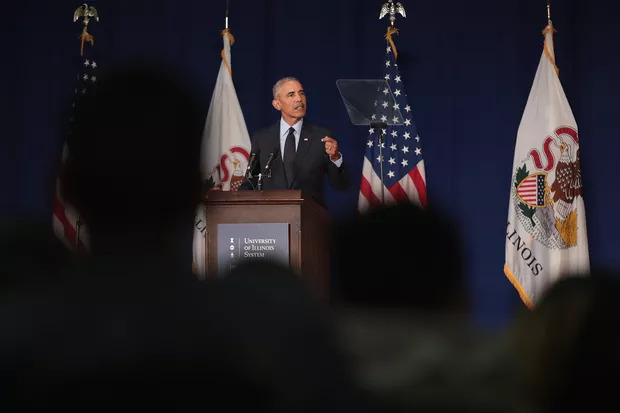 Days before the verdict on his bid for a second term, the bad news for Barack Obama is that most likely voters think the country is headed seriously off on the wrong track. The better news for Obama: Previous incumbents have survived the same challenge. GOP presidential candidate Mitt Romney delivers his last remarks before the election and describes how he would be a different president, if elected. With four days to go until the election, President Obama has never been more fired up, according to senior campaign strategist David Axelrod. A Romney-Ryan administration will confront the problems that politicians have avoided for a decade. After more than a year of campaigning, endless political advertisements, two conventions and four debates, the presidential election is almost over. The big decision of 2012 will soon be in the hands of the voters. The choice Americans make will shape great things, historic things, and those will determine the most important and intimate aspects of every American life and every American family. All presidential elections matter. This one matters a great deal. It matters to the senior who needs medical care but, thanks to ObamaCare, can’t find a doctor who is taking new Medicare patients. It matters to the men and women who once had good-paying jobs with benefits but now work part-time with no benefits just to put food on the table. It matters to the college student graduating this spring with a heavy load of debt and few opportunities to pay it back. It matters to the single mother who lives in fear of foreclosure as her employment prospects dwindle. This election is about them. It is about all of us. It is about the education of our children, the value of our homes, the take-home pay from our jobs, the price of the gasoline we buy, the choices we have in our health care. It is also about broader forces—the growth of the economy, the strength of our military, our dependence on foreign oil, our leadership role in the world. After four years of disappointments, fixing America’s problems requires a new direction. The path we’re on hasn’t led us where we need to go. In so many ways, it seems that things have gotten even worse. We can make excuses for what has gone wrong, and many have tried. But excuses won’t turn this country around. Only leadership can do that. I know something about leadership because I have led before. I have reformed businesses that were on the verge of collapse. I have helped to save an Olympics that was plagued by scandal. I have worked with men and women on both sides of the aisle in Massachusetts to achieve real change and real reform. I can do it again in Washington. Republicans and Democrats in Congress may seem to share very little these days, but they share responsibility for the problems we now face. Just as it took both parties to bring us to where we stand, it will take both parties to get us moving again in the right direction. That is something we can only accomplish if we work tirelessly to bridge the divide between the political parties. I will meet with Democratic and Republican leadership regularly. I will look for common ground and shared principles. And I will put the interests of the American people above the interests of the politicians and the bureaucrats. Together, we will overcome our difficulties and usher in a new age of prosperity. America is ready for that kind of leadership. Paul Ryan and I will provide it. Our plan for a stronger middle class will create jobs, stop the decline in take-home pay, and put America back on the path of possibility and opportunity. This, in turn, will enable us to fulfill our responsibilities to promote the principles of peace as leader of the Free World. We will help the Muslim world combat the spread of extremism. We will dissuade Iran from building a nuclear bomb. We will build enduring relationships throughout Latin America. And we will partner with China and other great nations to build a more stable and peaceful world. We face big challenges, but we also have big opportunities. New doors are open for us to sell our ideas and our products to the entire world. New technologies offer the promise of unbounded information and limitless innovation. New ideas are changing lives and hearts in diverse nations and among diverse peoples. If we seize the moment and rise to the occasion, the century ahead will be an American Century. Our children will graduate into exciting careers that are worthy of their qualifications. Our seniors will be confident that their retirement is secure. Our men and women will have good jobs and good pay and good benefits. Our veterans will come home to a bright future. We will have every confidence that our lives are safe, and that our livelihoods are secure. This requires a different direction, a change from the course of the past four years. It requires that we put aside the small and the petty, and demand the scale of change that we deserve: real change, big change. I pledge that my presidency will bring about that kind of change—confronting the problems that politicians have avoided for over a decade, revitalizing our competitive economy, modernizing our education system, restoring our founding principles. If you are ready for that kind of change, if you want this to be a turning point in America’s course, join us and vote Tuesday for the kind of leadership that these times demand. I am running for president because I believe in America. I believe in the America that never gives up, never stops striving, never ceases believing in itself. That is what I have been campaigning for, and that is what I will fight for as president of the United States. 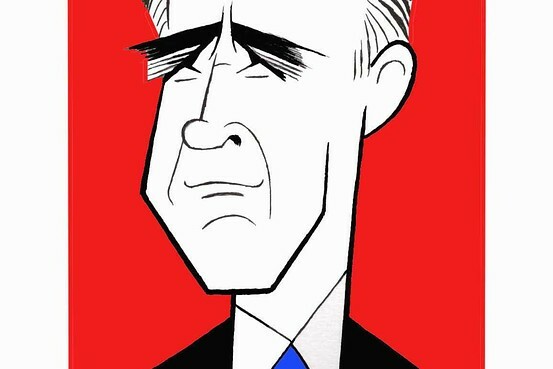 Mr. Romney, a former governor of Massachusetts, is the Republican candidate for president of the United States. Americans shouldn’t surrender to the same philosophy that hurt middle-class families for so long. For the past few days, we’ve all been properly focused on one of the worst storms of our lifetimes. We mourn those who were lost. And we pledge to stand with those whose lives have been turned upside down for as long as it takes to recover and rebuild—better than before. Because when hardship hits, America is at its best. The petty differences that consume us in normal times fade away. There are no Democrats or Republicans during a storm—only fellow Americans. That is how we get through the most trying times: together. In 2008, we were mired in two wars and the worst economic crisis since the Great Depression. Together, we’ve battled our way back. Our businesses have created over five million new jobs in the past two and a half years. Home values are on the rise. Manufacturing is growing at the fastest pace in 15 years. The American auto industry is back. Thanks to the service and sacrifice of our brave men and women in uniform, the war in Iraq is over. And Osama bin Laden is dead. We’ve made real progress. But we’re not done yet. On Tuesday, you get to choose between two fundamentally different visions of America—one where we return to the top-down policies that crashed our economy four years ago, and one built on a strong, growing middle class. Our free market is the engine of America’s progress, driven by risk-takers, innovators and dreamers. Our people succeed when they have the chance to get a good education and learn new skills—and so do the businesses that hire them, or the companies they start. We believe that when we support research into scientific and medical breakthroughs, new industries will start here and stay here. We grow faster when our tax code rewards hard work and companies that create jobs in America, and when quality health care and a dignified retirement aren’t just achievable goals but a measure of our values as a nation. For eight years, we had a president who shared these beliefs. Bill Clinton asked the wealthiest to pay a little more so we could reduce the deficit and still make these investments. By the end of his second term, America had created 23 million new jobs. Incomes were up. Poverty was down. Deficits became surpluses. And Wall Street did very well. In the eight years after, we followed a different path. Bigger tax cuts for the wealthy we couldn’t afford. Encouraging companies to ship jobs and profits overseas. Fewer rules for big banks and insurers. The result of this top-down economics? Falling incomes, record deficits, the slowest job growth in half a century, and an economic crisis we’ve been cleaning up for the past four years. Gov. Mitt Romney has offered—under the guise of “real change”—these very same policies that failed our country so badly. But we know better. We shouldn’t end college tax credits to pay for millionaires’ tax cuts; we should make college more affordable for everyone who’s willing to work for it. We should recruit 100,000 math and science teachers so that high-tech, high-wage jobs aren’t created in China but in America. And we should equip another two million Americans at community colleges with skills that businesses are looking for right now. Change is an America that is home to the next generation of manufacturing and innovation. I’m proud I bet on the American auto industry. I refuse to cede the future of manufacturing to other countries. We need a tax code that stops rewarding companies that ship jobs overseas and starts rewarding companies that create jobs here; one that stops subsidizing oil-company profits and keeps supporting new energy jobs and new technology that will cut our oil imports in half. Change is an America that turns the page on a decade of war to do some nation-building here at home. So long as I’m commander in chief, we’ll pursue our enemies with the strongest military in the world. But it is time to use the savings from ending the wars in Iraq and Afghanistan to pay down our debt and rebuild American roads, bridges, schools and broadband. Change is an America where we reduce our deficit by cutting where we can and asking the wealthiest to go back to the income-tax rates they paid under President Clinton. I’ve worked with Republicans to cut a trillion dollars of spending, and I’ll do more. I’ll work with anyone of any party to move this country forward. But I won’t eliminate health insurance for millions of poor, elderly or disabled on Medicaid, and I won’t turn Medicare into a voucher to pay for another millionaire’s tax cut. That is surrender to the same philosophy that hurt middle-class families for too long. I’m fighting for the Americans whose letters I read at night, whom I meet on the trail every day. The laid-off furniture worker who’s retraining at age 55 for a career in biotechnology. The owner of a small restaurant who needs a loan to expand after the bank turned him down. The autoworker who’s back on the job filled with the pride of building a great car. When these Americans do well, America does well. That is the change we need right now. Now’s the time to keep pushing forward to make sure that no matter who you are, where you come from or how you started out, you can work to achieve your American dream. That is the America within our reach. That is why I’m asking for your vote this Tuesday. Mr. Obama, a Democrat, is seeking re-election as president of the United States.